Cathedral Diamond Engagement Ring | Shane Co. 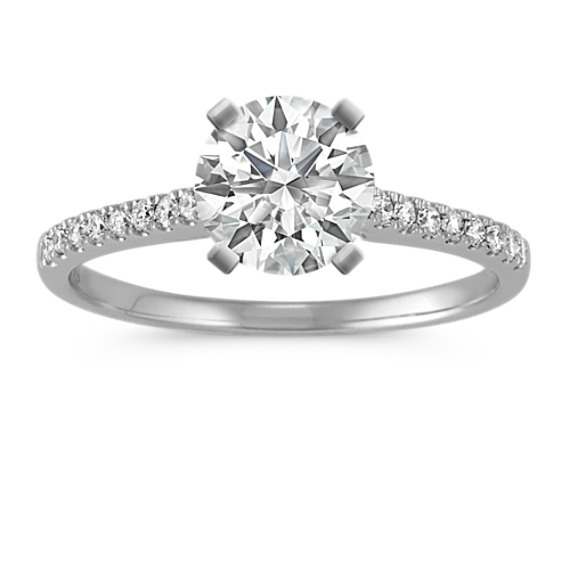 This classic bridal ring features 18 round diamonds at approximately .16 carat total weight. Each exceptional stone has been hand-matched for brilliance and sparkle. The diamonds are complemented by a shimmering 14 karat white gold cathedral setting. Add the center diamond of your choice. It's exactly what I expected to be like! Great service and outstanding products at quite reasonable prices! This is my engagement ring and has a .8 carat round diamond. I get so many compliments and find myself staring at it all the time. I love it! !